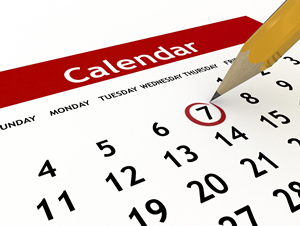 As the new academic year begins, many schools will be finalising their calendar to ensure that important dates such as examinations, residential trips and parents evenings are included in the yearly planner. In addition to these standard dates, schools are also encouraged to look at including awareness days into the school calendar to focus on issues which relate to the social and emotional well-being of children and young people. The benefit for schools in engaging in these days is that the organisations who organise these events often have resources such as lesson plans, so that teachers don’t have to start from scratch when putting together lessons. Also, it is a good way of evidencing ways that you promote e-safety to others e.g. parents which can be included in any self-reviews or information for OFSTED. In addition, awareness days often generate publicity from local or national media, so stakeholders may be more interested in attending events or receiving literature which relate to them. Also, many organisations offer speakers and who can come into school and offer an additional perspective when talking about these subject areas. If you have an event that you would like to include in this list, please email tina@teachingresourcessupport.com. Please note, these events are correct at the time of publishing and may be subject to change by the event organisers.